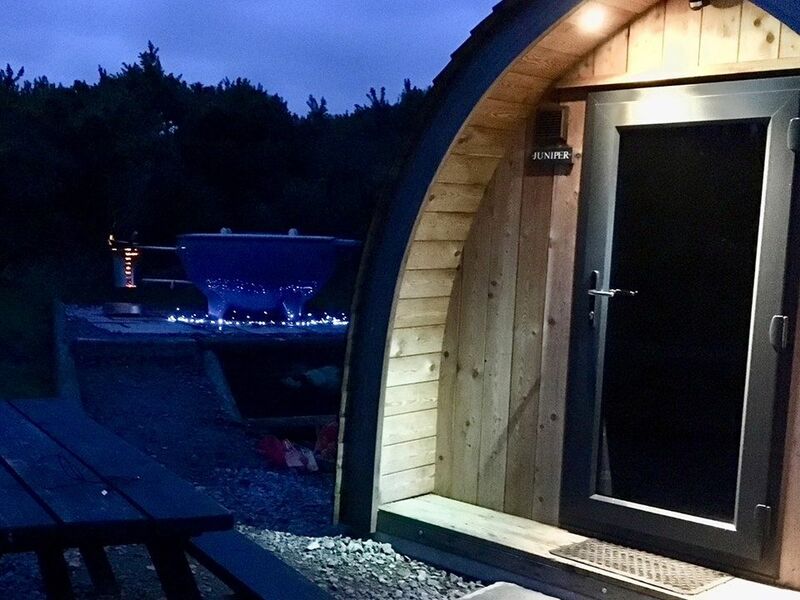 Our Ridge Pods are located at the top of farm, with limited lights you get the darkest of skies, ideal if you want to marvel at a clear night sky. 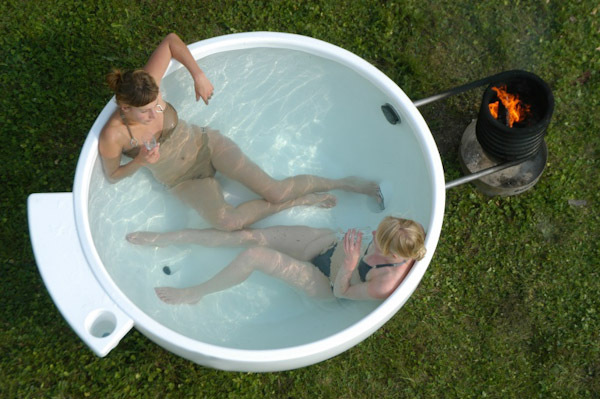 Relax and unwind in our novel Dutch tub wood fired hot tubs - they are like giant tea cups ideal for 2 people. Sleeping is on fold out foam chair/beds on the carpeted floor. 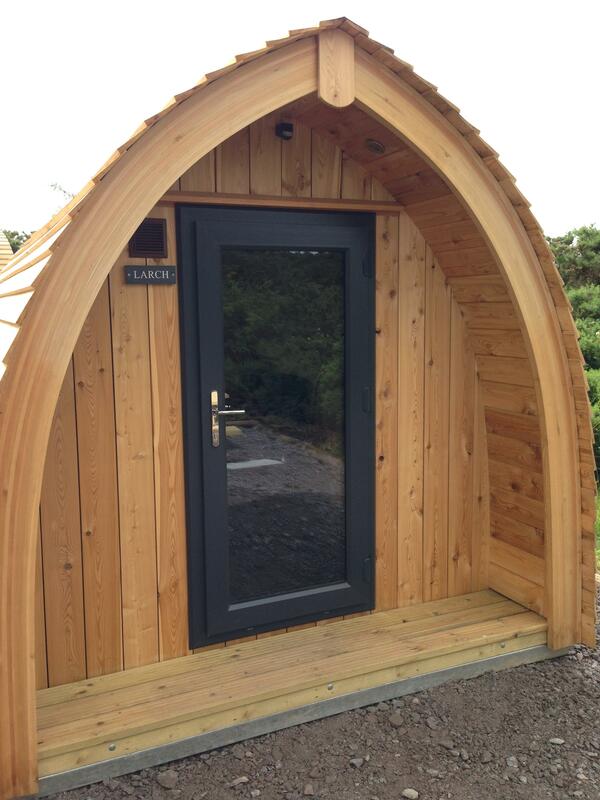 Parking is close to your Pod and the facilities are approx 200mtrs from your door. 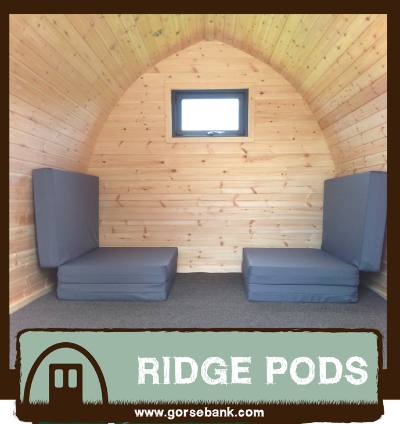 Sorry but dogs aren't accepted in our Ridge Pods. We have a 2 night minimum stay at weekends from Easter until the end of October. Inc 2 people 1 night £99-£104, 2 nights £139-149. Inc 2 people 1 night £124, 2 nights £179. Special pricing applies for New Year / Hogmanay: please see special offers page. Depending on the time of year, the water takes 2 - 2.5 hours to heat up, so simply light the firebox before your BBQ and it will be ready for an evening's relaxation. 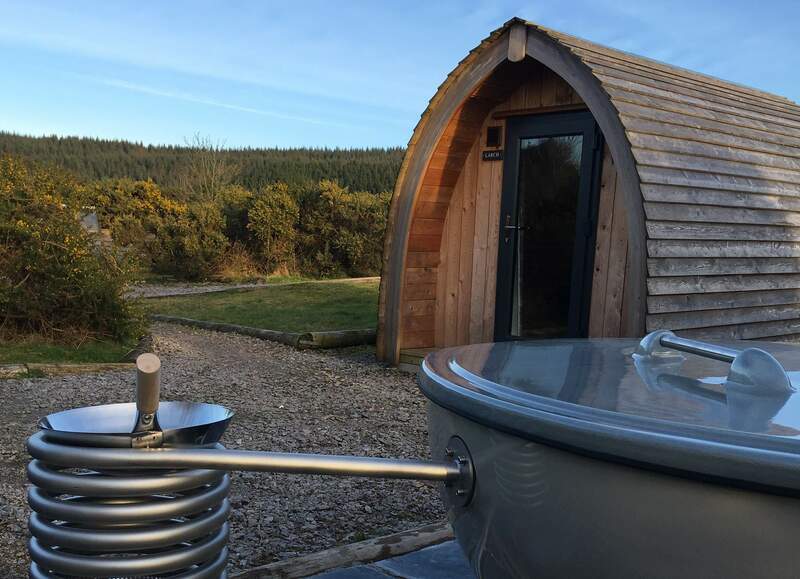 The latest time we undertake hot tub inductions is 8pm. If you arrive after that, you won't be able to use your hot tub until the following day. 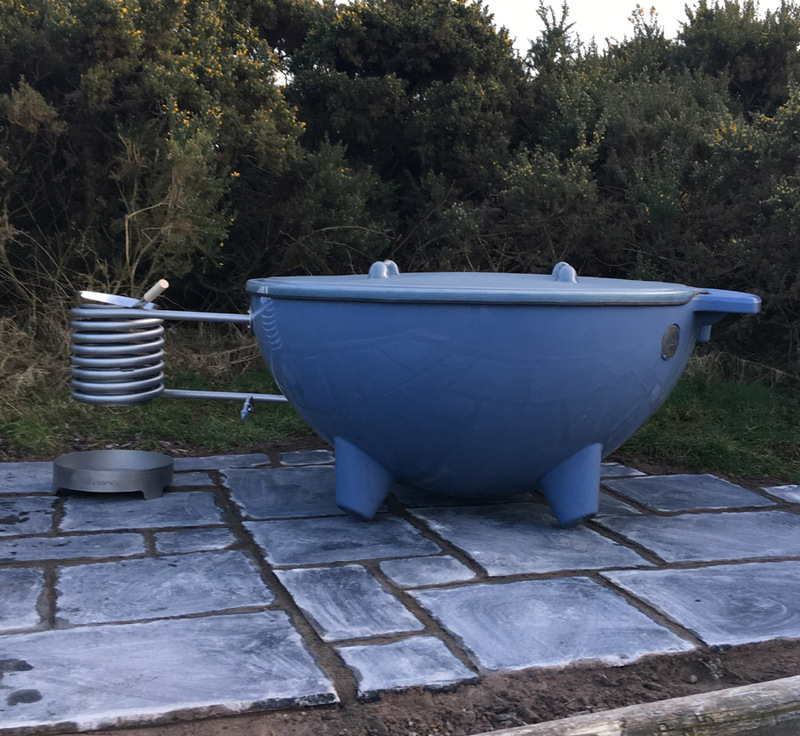 We also offer a hot tub prelighting service, so that the water is warm for when you arrived, idea if you aren't arriving until after tea time. The minimum age for the hot tub is 5 years old; under-14s must be supervised by an adult. Only plastic drinking glasses are to be used when bathing, so please bring some along. 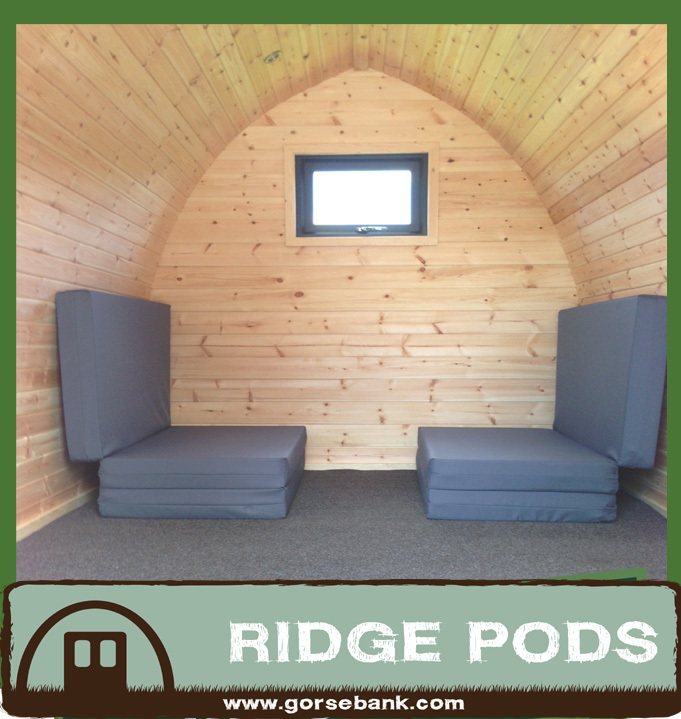 A maximum of 4 people are allowed per tub or congregating around the pods. 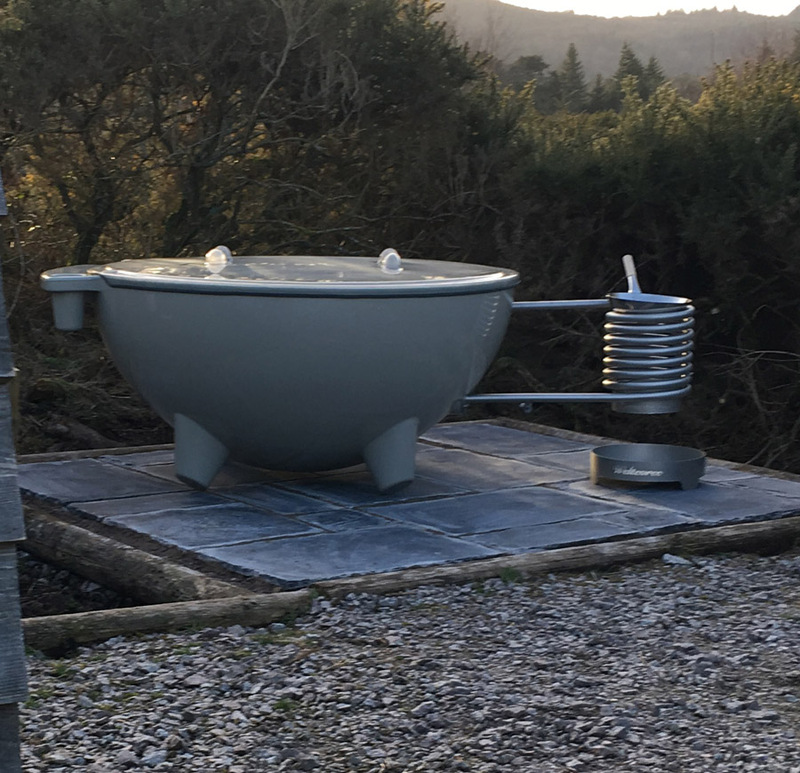 During freezing conditions, the hot tubs may not be available - this is rare, but if does occur we'll refund you your hot tub fee. Sorry, but we don't accept dogs in the Ridge Pods.